In a large mixing bowl, combine the tomato, basil, garlic and olive oil. Toss together, then add in the salt and pepper, combining it again to ensure even distribution. 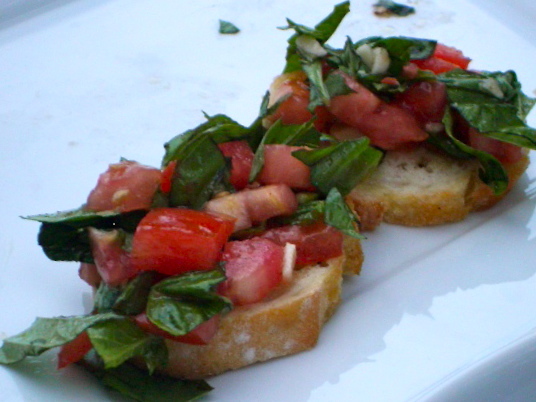 Arrange the toasted baguette rounds on a serving platter and spoon the tomato/basil mixture over each round. Serve and ENJOY!